Served on various vessels: Alsatian, Flaminian, Bavarian, Venetian, Oporto, Andalusian, Bulgarian, Favonian, Persian, Bostonian, Lancastrian, Cestrian, Winifreda, Tagus, and in July 1899 took command of the Winifredian which was transporting troops to South Africa. Then commanded the Devonian, Hanoverian, Mayflower and in January 1906 took command of the Mercedes de Larrinaga. 30 January 1908 the American schooner "Edward J. Berwind" sank and the crew was picked up by the steamship "Mercedes de Larrinaga" which was commanded by Muir. The Shipping Gazette 23 June 1909 reported: "The Board of Trade have received, through the Foreign Office, gold watches and chains for Captain George William Muir..... of the British steamship Mercedes de Larrinaga, of Liverpool, which have been awarded to them by the President of the United States in recognition of their services in rescuing the shipwrecked crew of the American schooner Edward J. Berwind, which was abandoned in the North Atlantic Ocean on Jan. 30 1908." October 1910 to the Assiout, then Douro, Arabian, Mardinian and in November the Tung Shan. He left her in Janaury 1917 "record notes: Damaged by ice and grounding." He died 22 February 1931. Arthur Henry Williams was born 1867 and enlisted in September 1883 as Boy 2nd Class. Served on various ships including St. Vincent, Temeraire, Active, Conquest, Egeria. LSGC awarded in 1901. Discharged in October 1905 and joined the Royal Fleet Reserve the same month. Recalled January 1915 and served on Pactolus, Stephen Furness, Thalia, and Gleaner. Demobilized February 1919. Queen's Korea Medal C/MX.851312 A.J. BIRCH. LDG.CK. R.N. Royal Navy Long Service Good Conduct Medal MX.851312 A.J. BIRCH. C.P.O.CK.(S).H.M.S. SEA EAGLE. Medals mounted as worn. Two photographs of recipient, one meeting Prince Phillip at Chatham. Chief Petty Officer Cook. British War Medal ALBERT E. THURGOOD. Mercantile Marine War Medal ALBERT E. THURGOOD. Copy medal card and research. Albert Edward Thurgood was born in 7 March 1883 in West Ham. He was a Chief Cook and continued serving after the war. In 1939 he is shown living in Barking and his occupation is listed as "R/N/A/R/ Chief Cook" and what looks like "H.M.S. Jervis Bay". He must have left the ship as he has another card dated Janaury 1941. The Jervis Bay was sunk in November 1940 with a different Chief Cook on board. Thurgood does not appear on the roll of WW2 medals for the Merchant Navy. Copy research. 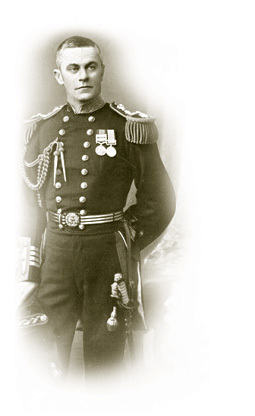 There is no Sub-Lieutenant A. Kirby with the RNR but there is a Sub-Lt. Alfred Kirkby. Passed Certificate of Competency as a First Mate and was commissioned in the Royal Naval Reserve 1917. Posted to oiler RFA Viscol. 1 August 1919 he was appointed Master of the Viscol and left her in April 1920. With copy of a photo showing Alfred in uniform with his family. British War Medal J.84737 J.H. BECKETT. ORD. R.N. Victory Medal J.84737 J.H. BECKETT. ORD. R.N. Copy service record. James Henry Beckett was born in London 6 February 1900 and enlisted February 1918. Served on HMS Patrol, a scout cruiser in the Irish sea. Discharged April 1919. Copy medal card. Albert Edward Shipley was born 1879 in East Bolden. 1911 census shows him as a "Marine Engineer" living in South Shields with his wife and two children. Also awarded the Mercantile Marine War Medal. 1926 was serving as a 1st Engineer on SS Gripfast. Card shows that he continued to serve until November 1938. He died in South Shields in 1954. Copy service record. Naming a bit rubbed. Alfred Cushing was born in Gateshead, Durham and was a coal miner born in June 1900. He joined the Royal Navy in July 1918 and served HMS Apollo (Onslow). Discharged 14 March 1919. Copy service papers. Thomas Frederick was born in Swansea 28 March 1893, son of Thomas and Caroline Thomas. He enrolled in the Royal Naval Reserve 15 March 1916. Served on "Sabrina (Numitor)", "Halcyon", back to Numitor, then Idaho (H.T. William Colbourne). Finally "Boadacia II (Irene)". Boadacia II was the base for armed patrol trawlers. He was discharged 17 October 1918 and issued a silver war badge. Entitled to a Victory Medal. Copy service papers. Anthony Davies was born in Swansea 29 December 1892, son of Ivan and Mary Davies. Enrolled in the Royal Naval Reserve 13 May 1916. Served HMS Warspite until discharged 16 February 1919. Entitled to Victory Medal. Copy records. Joseph Astley enlisted December 1915, aged 29. Served in France from September 1917 with 2nd Royal Marine Battalion. Discharged January 1922. Entitled to British War Medal. Copy papers. Walter Jones Connard, born 7 Sept. 1883 in Southport, Lancashire. Joined the navy 7 Marchy 1900 and served on HMS Agincourt, Amphitrite, Black Prince, Commonwealth (1914 to August 1917), Aquitania (Jan 1918 to Jan. 1919), Emperor of India. Discharged 21 July 1922 with rank of Petty Officer.